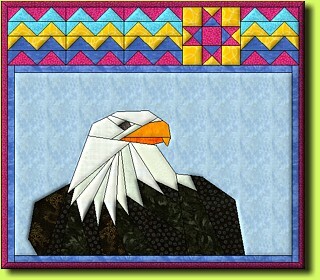 Paper Piecing pattern plus rotary cutting charts for border blocks. This pattern was made by request. If you want something special just email me. 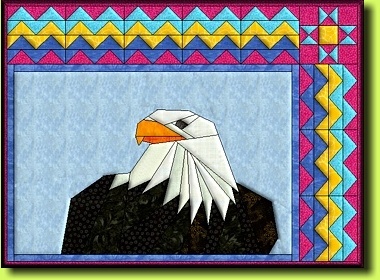 Pictorial Block 15" by 10" (38 x 25 cm), Quilt 16 1/2" by 14 1/2" (41 x 36 cm).